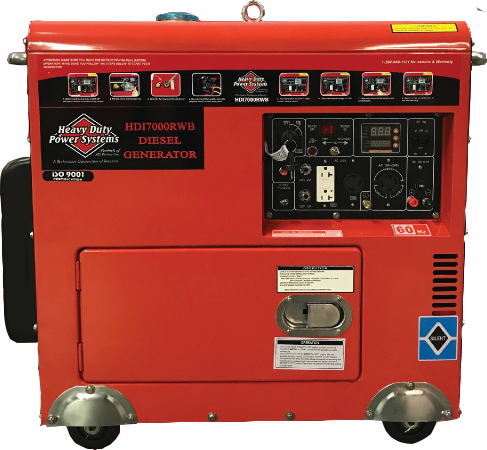 Generators | HD Power Systems, Inc.
Model HDI7000RWB Electronically Controlled Direct Injection w/Brushes Diesel Generator 12 HP with updated AVR, and Electric Start w/ Remote and low oil shut down. 120v 30 amp / 240v 40 amp service. The HANCO diesel generators powered by Perkins and distributed by H.D. 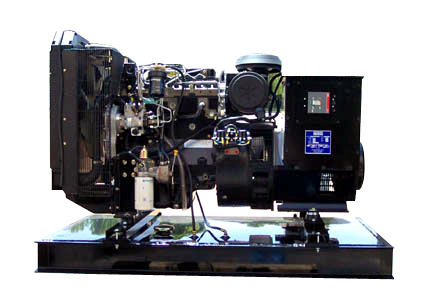 Power Systems pairs the proven engineering of our military and rental series generator sets, with smart manufacturing processes to deliver affordable power solutions for home, agricultural, commercial and industrial applications. The robust and scalable VP generators series is well-suited for continuous and standby applications with energy outputs ranging from 8Kw to 500Kw. * Price without optional Tank ($1,500.00) and Cage ($1,345.00) accessories. Special orders available (8Kw — 500Kw) upon request, please call (208) 949-1121 for further details. Refer to "Manual" tab for specifications. Huge 389 cc / 13hp Honda engine capable of powering much of an average-sized house! Tri-Fuel Hose with Regulator. Custom made for our HDG9000ER TriFuel Generator. Runs Natural Gas and Propane. 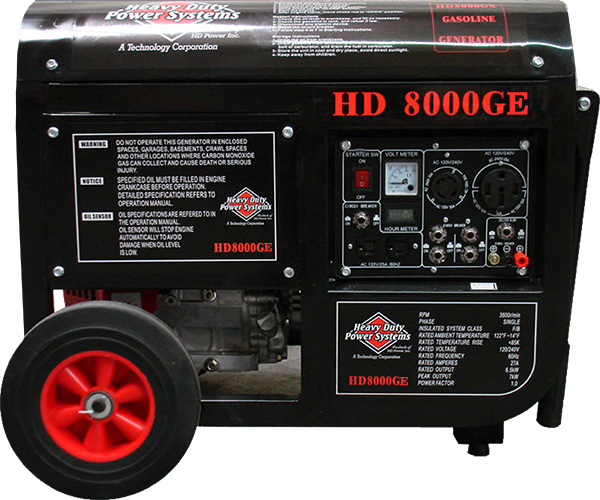 HDG9000ER TRI-FUEL 15 HP Gasoline Generator. 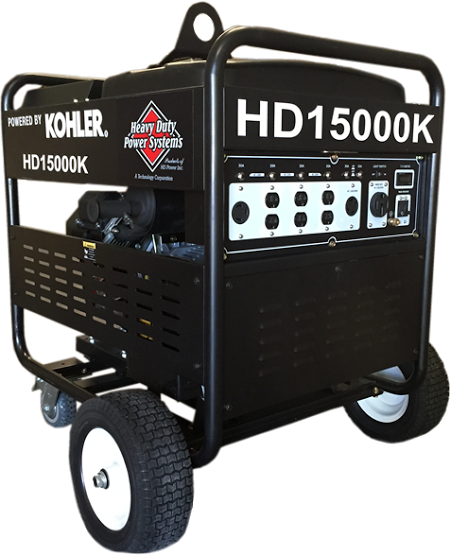 Model HDG9000ER 15 HP Contractors series Industrial, gas powered Generator 120/240V 50 amp service w/ low oil shutdown. Model HDI7000BD Electronically Controlled Direct Injection Brushless	Diesel Generator 10 HP with updated AVR, Electric Start and low oil shut down. 120v 30 amp / 240v 40 amp service. Model HDD7000EDA Electronically Controlled Direct Injection Brushless Diesel Generator, 10 HP, with updated AVR and Electric Start with low oil shut down. 120v 30 amp / 240v 40 amp service.